BRING THE HORSES!!! 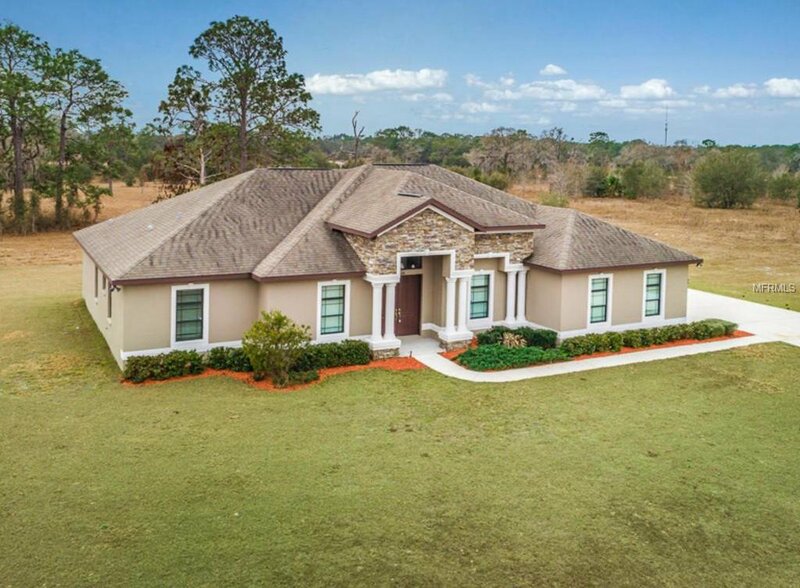 This 3 or 4 Bedroom Home, with over 2600 SF of Living Space is located in the 500 Acre Equestrian Private Gated Community of Bella Terra.. Home sits on approximately 3 acres. This home features high ceilings, office/den with double entry doors, formal dining room, Spacious great room with Trey ceiling, Gourmet kitchen with 42 inch cabinets, breakfast bar, eat-in area, pantry and new appliances. Split floor plan has a Large Master Suite with Luxurious Master Bath featuring a tiled walk-in corner shower, his and her vanities, garden tub and walk-in closets. Other features include 3+ over sized garage, security system, 45x12 covered Lanai, freshly painted, new carpeting, stone front, large driveway, and much more. Keep your horses on your own property and ride through the miles of trails throughout this horse friendly community. Listing courtesy of RE/MAX Champions. Selling Office: FUTURE HOME REALTY INC.